What happens when a NY based business takes graphic liberties with a tried and true marketing gem from the 70’s? Lawsuits… that’s what. 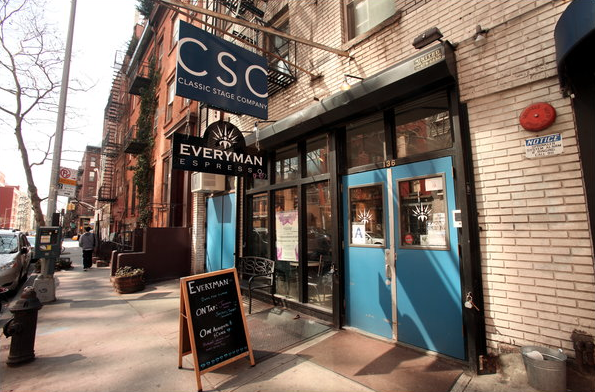 Everyman Espresso vs the State | Brutal Design for the full story. But i think we all know how this turns out. Big guy bullies little guy, on shaky ground. 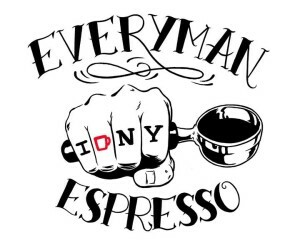 Here’s hoping the Coffee people (Everyman Espresso) can find a way to come out of this on top, preferably with a nice crema! So we here at the CaffiNation are diversifying our assets. The CaffiNation will still be home to all the wonderful coffee, caffeine and food run news and snippets you are used to finding here. But design news will be found over at DesignisBrutal.com. Apparently there is much more the this story as is properly spelled out on Sprudge.com. Long and the short of the tale is that the logo as seen above is no longer in use at the cafe. I was also unaware of the NYT article detailing the whole story, so I didn’t know the logo came from a tattoo on the proprietors fist, mentioned only in a line at the bottom fo the source i was reading from… Which explains more about the design. The wonderful office at the NY State Department of Economic Development is apparently still continuing with their quest for money despite the logo having been pulled. In fact the sign out in front and all of the window decorations on the front of the store have a different logo entirely. One point of order for sprudge though, the story wasn’t copy and pasted, rather summarized from This story.